Great fun for the younger ones. 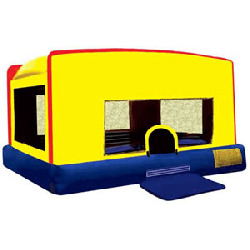 At just under 8 feet tall the mini bounce rental fits inside many garages. Ideal add on rental to other inflatables. Almost as much bouncing space as a standard unit, just shorter. Note: Inside height is 5 feet. Not recommended for rain showers.